The Times #cyclesafe campaign has taken off massively over the past weeks. With support from sporting stars, politicians, huge companies and thousands of people. The campaign raises similar points to other campaigns, touching on topics such as trixie mirrors, issues with large vehicles, re-design of junctions and speed limits. The difference so far is that it has been coming from a huge newspaper and not from a cycling lobby. But are we missing something? The one thing missing is a way to change road user attitude. I see the Times mention training of drivers and cyclists and to include a cycling specific section in the driving test. Whilst yes this would be a good measure, it doesn’t solve the millions of drivers we already have on our roads who are ‘bad’ drivers. So what can we do? Essentially we need better policing on the roads. At present people are allowed to get away with bad driving if nobody in authority is watching and if no collision occurs. Because they aren’t brought up on it, this leads to bad driving become a habit and essentially normal driving. As Croydon Council recently put on a sign around the corner from me. ‘Speeding is bad driving’. 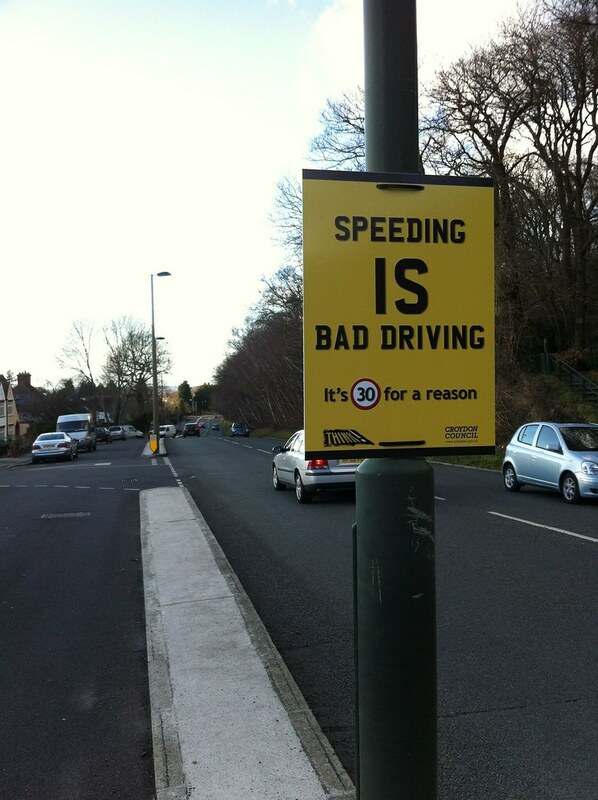 They put this on a road which is well-known for speeding road users. It’s nice and wide, with a pedestrian footpath on only one side which is also separated from the main carriage way by traffic islands and another small roadway. So people feel like it is OK to speed. In my +10 years of using this road, as a cyclist, driver and passenger, I’ve not once seen a police vehicle on it that was going after speeding drivers. 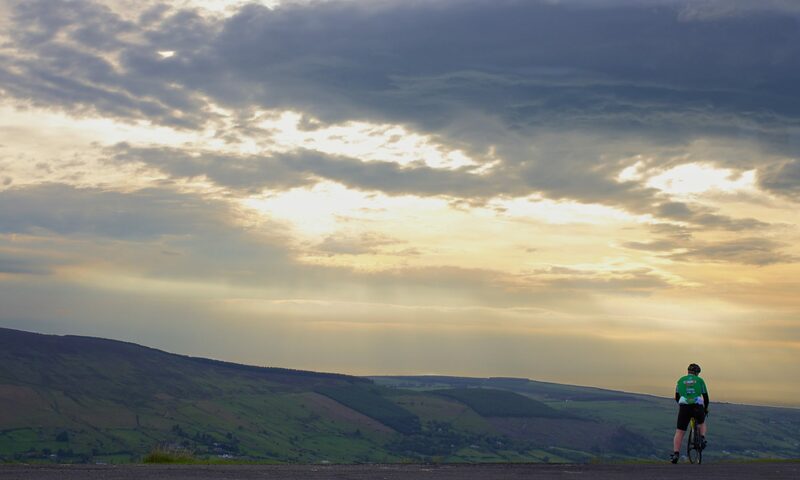 Usually, unless there is a fatal or serious road collision due to a speeding vehicle, local authorities will not put in speed cameras, and even if they do, they are of the type which are static, highly visible and only slow drivers down for a few meters. Only a few years ago hundreds if not thousands of speed cameras were turned off around the country because they cost too much to run. Adding brand new cycling facilities is all well and good but they are useless if they aren’t enforced by the police or if all road users aren’t educated about them. We can see an example of poor implementation, enforcement and education by looking at advanced stop lines. A large proportion of ASL’s have vehicles in them which shouldn’t, which just makes the whole reason for them pointless. 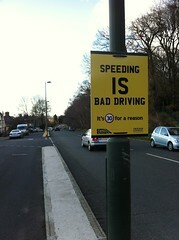 It took years to make drink driving unacceptable, fines and points is not enough to deter people from doing something. Driving bans are much more effective. Driving whilst on the phone is just as dangerous as driving whilst over the drink drive limit, yet the penalties are at completely opposite ends of the spectrum which makes driving on the phone appear to be less dangerous and more socially acceptable, which it shouldn’t be. We obviously need to change certain things to make the road network safer for all road users but I think a big aspect we are missing in current campaigning is increased enforcement of road users, continued education throughout driving ‘career’ and changing the underlying attitude that British road users have. Yesterday The Times launched a campaign to make cycling in cities across England safer after one of the Times’ reports was struck by a lorry only yards away from her workplace in November last year, she has been a comma since. 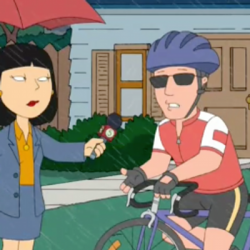 I was asked to give my opinion on current road conditions for cyclists, and whilst I think the roads are a safe place, there is obviously an issue on our roads. In the last quarter of 2011 we saw an 8% rise in cycling deaths or serious injuries in London over 2010’s last quarter whilst deaths and serious injuries of car drivers, motorcyclist’s and pedestrians continued to fall. Compare Paris to London, a city which has 3,000,000 more people than us and is known for its crazy drivers. How many cycling related deaths where there in 2011? There where 0 cycling deaths in Paris throughout 2011, where as in London, there where 16 deaths and many more seriously injured. Why do we allow these deaths to continue? It seems that the public think these sorts of deaths are acceptable, nothing happens to make cyclists safer on the roads! In the past decade, cyclists killed on our roads outnumber servicemen killed in Iraq and Afghanistan by a factor of two. Any sort of death of a person is a tragic incident, just think about how you would feel if a family member was suddenly no longer with you! We can do something about deaths on our roads, make them safer and all road users will have the benefit of being able to travel without the thought of it being there last. The Times raise an 8 point manifesto of things they want changed, and whilst I don’t agree that every point is going to make a difference, they are certainly pointing in the right direction and having such a large newspaper behind us is a great thing. In the first day of the campaign more than 5,000 people pledged their support with more than 300 writing to their MP’s and many more showing support on twitter.